Join Gareth & Gwen in their first adventures together … Murder, mystery and mayhem in Medieval Wales! 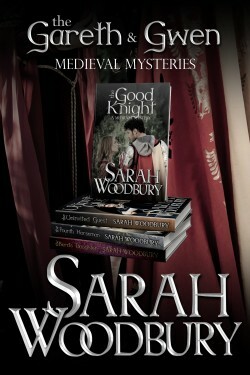 The Gareth & Gwen Medieval Mysteries Boxed set contains the first four books (three novels and a novella) in the Gareth & Gwen Medieval Mysteries: The Good Knight, The Uninvited Guest, The Bard’s Daughter, and The Fourth Horseman. Appropriate for teens to adults.